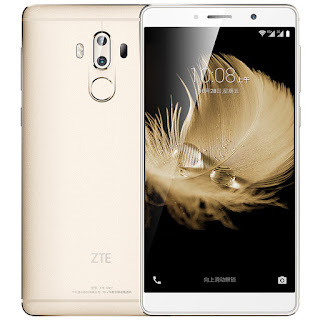 ZTE Smartphone manufacturer company has launched successor & upgraded models of its premium flagship device Axon-7 that was launched last year, not launched in India till now. In China, ZTE launched this handset online, as Axon-7 Max. This flagship Smartphone comes with eyeball-catcher looks – features and design. 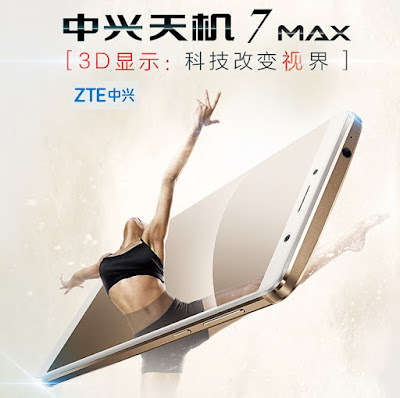 And ZTE launched these handsets in Chinaonly. Some of the features of the ZTE Axon-7 Max, it packs 3D vision 6 inch display with 1080p FHD resolution. It packs 4GB of RAM with 64GB internal storage – expandability not clear, intelligent voice features including speech to text – dual camera with dual LED flash including fast sensing fingerprint sensor that can sense in 0.15sec. and ZTE Axon Max is powered by a 4100mAh inbuilt Battery with Type ‘C’ Super Charge v3.0.